Yesterday I bought brown leather gloves for an assignment I got at school. I have to make an accessory: extraordinary. So I was thinking of gloves (preferably black) with huge 6 golden colored spikes sticking out the top. I found brown leather gloves in a thrift shop that were just the right model I needed. My idea is to spray spike shapes gold and stick them threw the gloves after I put holes in them. When I was browsing threw the shops for some spikes I only found some brushes with the ends shaped as spikes. Of course I'm going to yank the brushes off them because I only want to make use of the ends of the brushes. They were under a euro each, so couldn't really leave them there for that price. All in all I didn't really find exactly what I wanted (black leather gloves.. although maybe brown leather spiky gloves are more exclusive ) but it's a begin. I am really wondering how I'm going to let the spikes stay on the same place (That they don't fall out or something like that!) So I have to hammer on that. Click on 'read more' and you will see some pictures of my idea's for the 'spiky gloves'. This is about the length I would like to create. 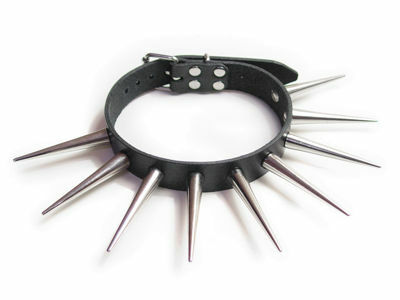 pretty much a goth bracelet and thats everything except what I want. Those Spikes would come in handy though.. But I would spray them gold. Same kind of effect like above. 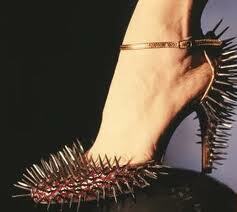 But the spikes are exactly what I want. This is the effect I would like only the spikes are way to small and not really that spiky. The exact effect I would like to create on my gloves. spikey outfits that have inspirited me. 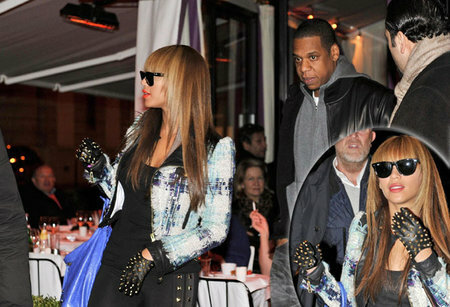 Beyonce with spiky gloves that were exactly what I wanted for mine. Black leather gloves, gold metallic spikes. Only couldn't find it but maybe it gives me a chance to create something more exclusive.. maybe maybe. Bytheway on my opinion these gloves were from Zara if you wanted to know. Like this gloves.I need two pair of gloves for this winter.